They are slightly hard to remember, however, once memorised, you will find that you can’t live without them. Of course, I am talking about the 10 best keyboard shortcuts for Lightroom; they work in both Windows and Mac. Articles, interviews, gear test, portfolios and much more inspirational and educational content can be accessed with a small monthly fee. 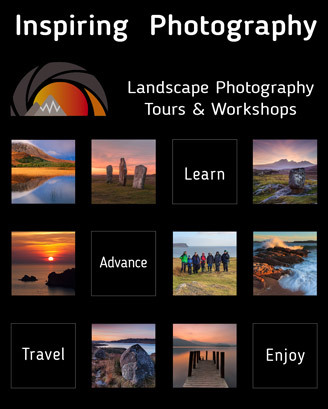 Be a member of the world's leading on-line landscape photography magazine. Subscribe to our Platinum membership and save up to 75%. Join us • Subscribe Now! Dimitri Vasileiou is a highly acclaimed landscape photographer, writer and photographic workshop leader. A professional photographer for several years, he was born in Greece and currently resides in Scotland. I’m sure I knew all 10 ‘secret tips’ anyway, lol.